When it comes to tossing out plastic bottles or newspaper, many of us don’t think twice about recycling. For one Colorado Springs couple, recycling inspired them to start a business that is taking the home remodeling world by storm. Debbie and Jerry Johnson saw a feature on the DIY network about recycled granite and thought they would give it a try for their own remodeling project. Often slabs of granite used for countertops are cut up into smaller pieces with plenty of leftovers. Those granite pieces can’t be a countertop but they can be cut up into tiles for backsplashes or even entire walls. That’s how the Johnson’s used recycled granite. The Johnsons were so impressed that they set up a Colorado Springs franchise of the Recycled Granite Network. Since opening in March, Colorado Recycled Granite has expanded business in the area, hiring several employees. 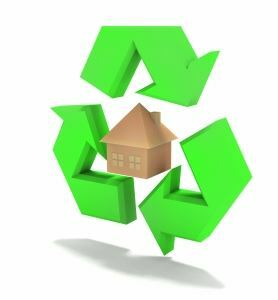 Since the Recycled Granite Network was started in 2009 they have managed to divert over 30 million pounds of granite away from landfills and generated over five million dollars in revenue. That’s taking recycling to a whole new level. Sadly, not every recycling project you take on is going to lead to a lucrative business. But you should be satisfied that anytime you can recycle you’re reducing your carbon footprint and keeping our environment clean. You could accomplish both of those goals when you hire a company like Junk King Colorado Springs to pick up your old kitchen appliances. Yes, even your broken stove can be recycled. When Junk King picks up an item they are always going to try and get that piece recycled whether it’s an old stove or sofa. Upwards of 60% of everything that Junk King collects gets recycled. There are two options. An item can go to a facility which will melt it down or grind it up. That works great for scrap metal, concrete, cement and even dirt. Another recycling choice would be to drop of the item at a refurbishing center. Typically these are charities which take in items that need a little TLC. The objects are then donated to those in need or sold to benefit the charity. It’s like getting a second lease on life for your junk. You won’t have to think about what can be recycled and what can’t. The Junk King Colorado Springs crew will do all the sorting for you. You don’t even have to ask; they’re going to recycle automatically. That’s just the Junk King way! Call Junk King today to set up an appointment to get rid of your appliances and all the rest of your junk! This entry was posted in Colorado Appliance Disposal, Colorado Junk Recycling, Colorado Springs Junk Removal, Junk King Colorado Springs and tagged appliance recyclers, Appliance Recyclers in Colorado Springs, Colorado Recycling on August 28, 2013 by John Busby. Last updated August 2, 2017 .